This is the first of a series of posts concerning the Tzaddik’s control over nature. I don’t know why Hashem did this, but that is the fact of the situation. This is clearly not against his will, for in the case of a Rebbe the whole concept of “against his will” is not applicable. 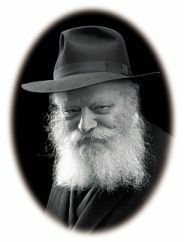 When the Rebbe agrees to something, he does so because that is what he wants. [The Rebbe said this also to an individual concerning a personal matter, saying:] May Hashem help you to understand that nothing can happen to a Rebbe against his will. Toras Menachem, Vol. 5, p. 183 . There is another lesson from the combination of the Parshiyos [Torah portions, sing. Parsha] of Vayakeil and Pekudei. The Parshiyos of Terumah and Tetzaveh describe how Hashem commanded Moshe to construct the Mishkan and its vessels, while the [later] Parshiyos of Vayakeil and Pekudei describe how Moshe told the Jewish people to construct the Mishkan and its vessels, and they implemented this. However, in between these two activities there was something that separated and disturbed this, as described in the Parsha of Ki Sisa [regarding the sin of worshipping the golden calf]. However, when the command was issued by Moshe Rabeinu, as described in the Parsha of Vayakeil, the Mishkan was immediately built and completed. This is one of the ideas represented by the combination of the Parshiyos of Vayakeil and Pekudei. Likkutei Sichos, Vol. 3, pp.936-937. When a command is issued directly from Hashem, the Jewish people don’t necessarily follow through with alacrity. Moreover, they may become sidetracked with trivialities, or even sins. However, when they hear it from Moshe Rabeinu or his extension in every generation, there might be a slight delay, but then they move to carrying out the instruction without going through a stage of sinning. As is known (for example, see here), the Tzaddikim are “the extension of Moshe in every generation.” Here the Rebbe is saying that knowing that the Mitzvos were commanded by Hashem is insufficient. Bonding with Tzaddikim and receiving their guidance in divine service has a special power to inspire the Jew, protect him from sin, and bring him to perform the Mitzvos with alacrity (see also here). A non-observant woman turned to the Rebbe in connection with her husband’s health. The Rebbe blessed her husband with a complete recovery and added that if until now she did not light Shabbos candles, she should begin to do so. Explanation: In an earlier post we discussed the concept that the Tzaddik’s ability to help the person stems from one’s basic faith in the Tzaddik and submission to him. Perhaps the story above can be explained in this vein. The Rebbe was telling this woman that since she did not believe in his ability to assist her, he could not assist her, not only because she wasn’t willing to follow his instruction, but because spiritually she wasn’t a vessel for it. The following story (see here)was told concerning the Rebbe Maharash, the fourth Chabad Rebbe. A severe decree was being formulated against the Jews. 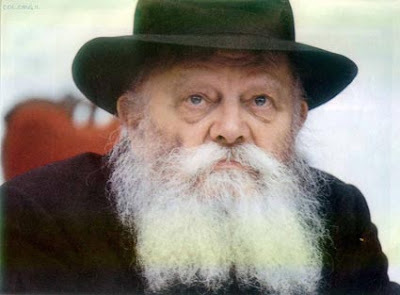 Rabbi Menachem Mendel, known as the “Tzemach Tzedek” (the third Lubavitcher Rebbe), sent his youngest son, Reb Shmuel to Petersberg in an attempt to get the decree rescinded. Traveling with Reb Shmuel was his older brother Reb Yehuda Leib, twenty years Reb Shmuel’s senior. Before commencing the journey, Reb Shmuel insisted that Reb Yehuda Leib agree not to bless anyone during their trip. “Our father is the Rebbe and he is the only one who should give people blessings,” he declared. Having no other choice, Reb Yehuda Leib agreed to these conditions. In one particular village, there was a woman who was especially persistent. She had not been blessed with children and was certain that, with the blessing of a Tzaddik, she would indeed merit to have children of her own. The woman repeated the entire scene in front of Reb Shmuel. She begged and pleaded, cried and screamed that Reb Shmuel bless her to have children. But nothing could move Reb Shmuel. He insisted that only his father, the Rebbe, could do anything for the woman. Seeing that she would not take “no” for an answer, Reb Shmuel told his brother and the carriage driver to get ready to leave. They quickly got into the carriage to begin their journey home and away from the woman. But the carriage didn’t budge. The woman had cleverly placed a stick in the spokes of the wheels to keep them from turning. Satisfied at last, the woman left Reb Shmuel and Reb Yehuda Leib to continue their journey. She promptly went home and made bagels, concentrating all the while on the blessing that the bagel would surely elicit. It occurred to the woman that just to be sure that the blessing would really be actualized, she should maybe eat two bagels. So that is exactly what she did. The following year, Rabbi Menachem Mendel passed away and Reb Shmuel, though the youngest of his seven sons, was chosen to succeed him as Rebbe. “My wife had wanted to make sure that the blessing would really materialize so she ate two bagels and had twins!” said the beaming father. What’s amazing about this story is not that the Rebbe Maharash was able to give a blessing for children, for the powers of Tzaddikim over nature is well-known. Rather it lies in the woman’s pure faith in the powers of a Tzaddik. This was so effective that it enabled the Tzaddik’s inadvertent words to be fulfilled. A Jew goes to a Tzaddik in order to be inspired to love and fear Hashem, to connect with Hashem on the lofty level of the Tzaddik, or to receive a spiritual or material blessing or advice. In order to accomplish these important goals, one needs to study the Tzaddik’s teachings and follow his instructions. However, this relationship will only work if the person approaches the Tzaddik with total emunah in the Tzaddik’s power to provide these things. Often people follow certain instructions of the Tzaddik, and see that they’re not getting inspired! It’s not working! And instead of searching within themselves for the root cause, they start to doubt the Tzaddik’s powers. In reality, the fault is in the person. The reason that the Tzaddik’s prescription isn’t working is that in order for the recipient to be a vessel, he has to believe with full confidence that the Tzaddik can do it. However, if the person the efficacy of the Tzaddik’s powers, then it become a self-fulfilling prophecy. The solution then is to study Torah sources concerning the level and holiness of a Tzaddik, and read stories of Tzaddikim.